Nomophila nearctica - Hodges#5156 (Lucerne Moth). Size: approx. 10 mm. Photo: 07/05/14, 8 pm. 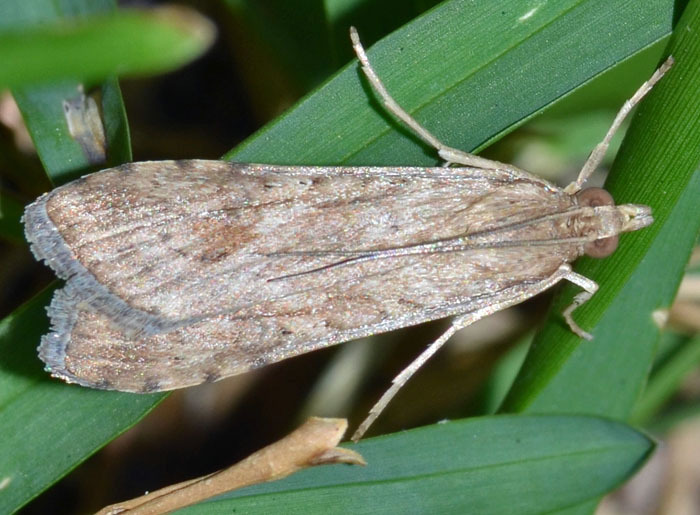 The larvae of this nocturnal moth are called False Webworm or Celery Stalkworm. At rest the wings of the adult overlap and are hugged against the abdomen, which gives the moth a long and narrow profile.